Pvt. James Thomas Jackson, son of Mr. J. R. Jackson, Olney, husband of Noame Blount, attended Lone Oak School. Entered Marines, 1944, trained in San Dego, Camp Elliott, Cal., Camp Pendleton and Camp Mathews, Calif. Served in SW Pacific. Awarded Rifle Sharpshooter, Marine Basic and APO. Discharged in 1945. Two enteries were found for James Thomas Jackson. James Thomas Jackson, son of Mr. and Mrs. James R. Jackson, Olney, graduate of Lone Oak School. 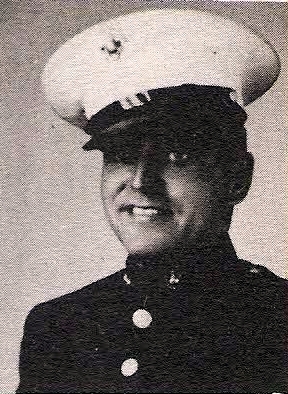 Entered Marines in 1944, trained at San Diego. Served in European Theater. Discharged in 1945.